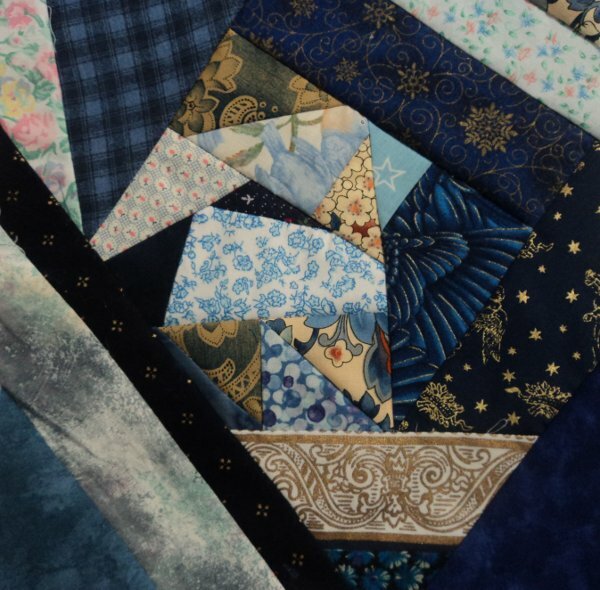 These plus a scrap pieced long enough for the binding have been taken over by my mother who has the table space to put them all together and pin them for the quilting. We will be selling these at a couple of local Pow Wow's for really a fraction of what they are worth but if we can recoup some funds we're happy. Those that don't sell I will use my original plans of donating them to shelters and for its for the needy at Christmas Time. These are the 16 blocks I've done up for the next Crazy Patch block quilt. I will leave it up to my mother as to what blocks goes where, etc. These ones I added a few center patches that have fairies on them as they were already cut from a project I was going to use them on and didn't. These quilt blocks are all being made out of the drawers for scrap pieces of fabric that I have sorted into colours. The next one will be in pinks! These are so lovely Lorrie! Will be looking forward to seeing the pink one made up. Will they have stitching or just plain as is when put together? You are a really good piecer Lorrie! I wish I could make blocks up so effortlessly! Thanks for linking up to the show and please tell your friends to come over too! Good morning! Here to tell you that you won one of the Hand Dyed Fiber packages! Please go to my blog and visit Vikki's link to choose your colors and then use my contact me button and send me an email with your name, address and color choices! I've just looked at these - been away from CQ for a couple of years. They are lovely, and I'd like to pick your brain a bit if I could. 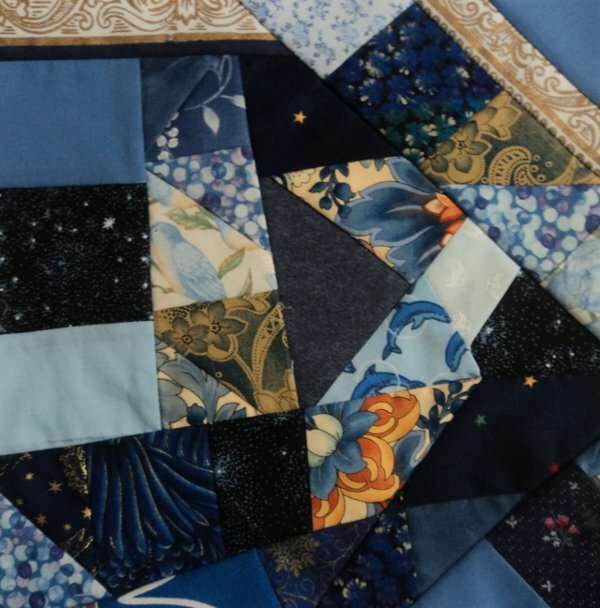 Do you design the whole block before stitching it? Do you machine stitch or hand stitch the blocks? How do you start and where? Any hints you could give me would be greatly appreciated.... I seem to have a mental block these days, and not sure how to design the blocks anymore. 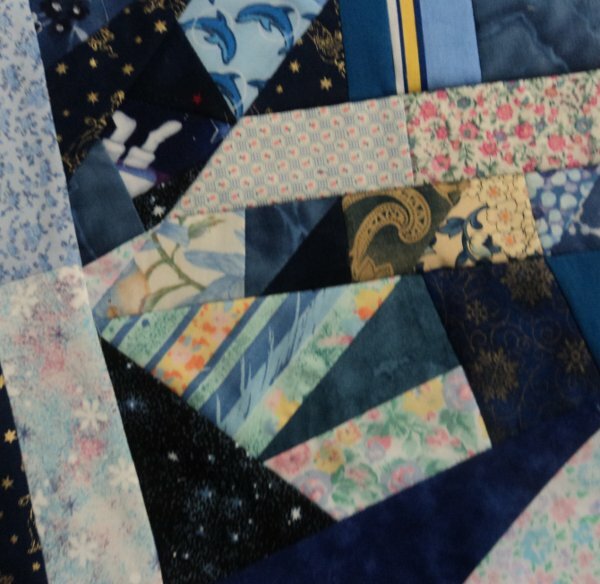 I've always used Judith Montano's idea of starting with a 5-sided piece, but would like to make some that look more like some of yours, and they don't seem to be as limited. Help, please!!! 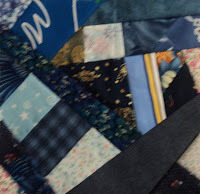 I want to make a crazy quilt, but don't know how to do them. I keep looking and they seem easy, but I cannot find directions that I like. 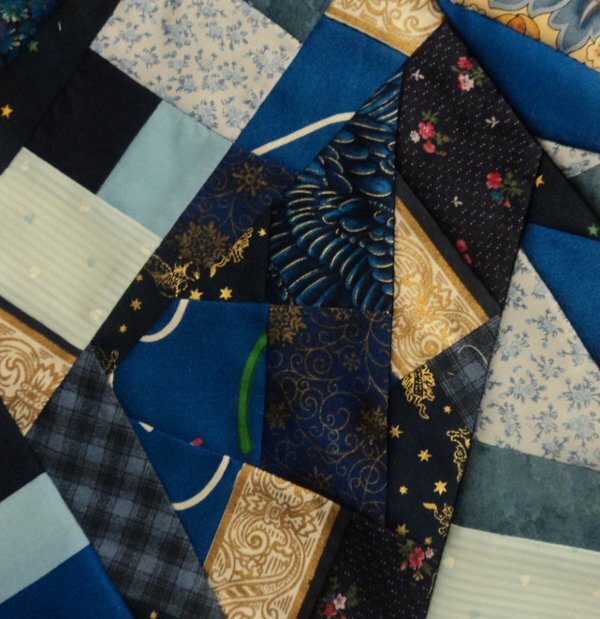 Did you use a pattern out of a book?